Do you have tooth sensitivity? If so, it may be due to dental erosion. Dental erosion is caused by the acids in foods and drinks that wear away at your tooth’s enamel. As the enamel wears away, the dentin becomes exposed which leads to sensitivity to cold, hot and acidic foods and drinks. Medical conditions such as bulimia disorder and gastroesophageal reflux (acid reflux), are also culprits. This is due to the acids in the stomach from both conditions coming in contact with the mouth causing damage to tooth enamel. Dental erosion can be very uncomfortable and affect the way you eat and drink. Here are a few tips to help prevent dental erosion. Carbonated or fizzy drinks such as sodas, pops, and waters contain weak acids that can harm your teeth. Fruit juices as well. Try using a straw or drinking quickly to limit the exposure of the liquid to your teeth. Try not to drink large amounts, for overall health as well. The best option to prevent dental erosion would be to drink plain water or milk. Milk neutralizes the acids in your mouth. After eating acidic foods, having some cheese or milk is a good idea. They both neutralize the acids in your mouth protecting your teeth. Also, chewing on some sugar-free gum after a meal increases your saliva flow which helps neutralize the acids as well. It is important to wait at least 30 minutes to brush your teeth after an acidic meal or drink. Waiting helps teeth rebuild their minerals. Make sure to use a small headed toothbrush with soft bristles and don’t brush hard. A fluoridated toothpaste is always recommended and twice daily brushing is important for good oral health. 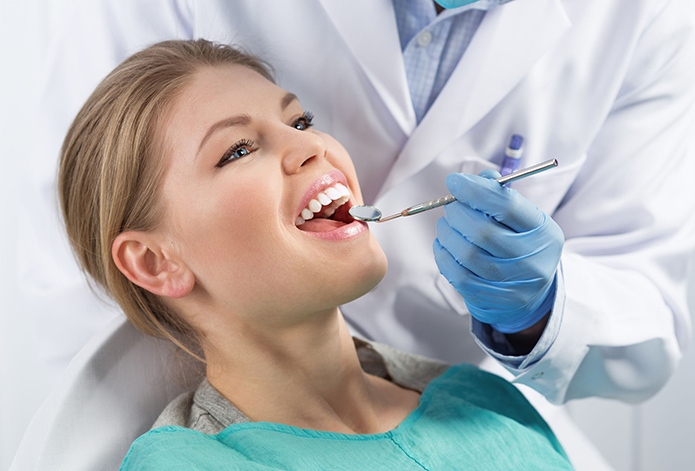 Regular dental check-ups and good oral health practices are always recommended. Dental erosion does not always need to be treated, especially if you are mindful of what you are eating and drinking. In some cases, however, it can become extreme and lead to tooth decay and cause discomfort. Dr. Hechtman and his dental team have been taking care of teeth for over 40 years. Our Walled Lake Dental Office offers a personalized experience with the most current and advanced dental technology and techniques. Helping patients maintaining long term dental health and a beautiful smile is our goal. Call our Walled Lake office today and schedule a check-up!